BAE Systems is set to showcase its Infantry Fighting Vehicle (IFV) CV90 in Australia at Land Forces 2016, one of the premier land defence events in the Indo-Asia-Pacific region which is taking place in Adelaide. BAE Systems, in partnership with Patria, is offering the CV90 in response to the Commonwealth’s request for information for the LAND 400 Phase 3 program. The CV90 is a tracked combat vehicle that was designed in Sweden, providing high tactical and strategic mobility, air defence, anti-tank capability, high survivability, and lethality in any terrain or tactical environment. Capable of carrying eight dismounts, CV90 is the only vehicle of its kind in the world that is still in production, with a pedigree of multiple successful worldwide operations that include United Nations and NATO missions. 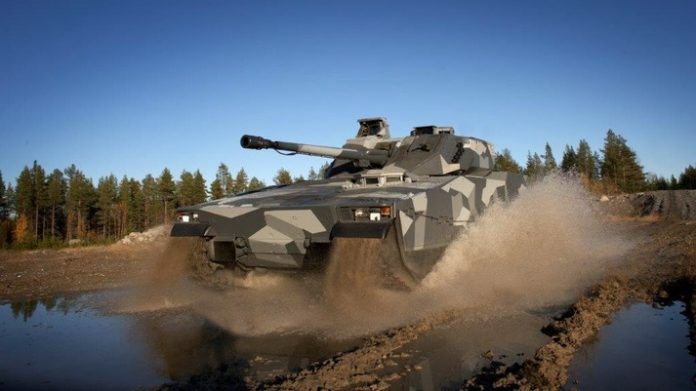 The company said the CV90 is a low-risk, military off-the-shelf offering that is ready now for Phase 3. “Combined with the E35 turret, the CV9035 — a variant of the vehicle with a 35mm gun system — provides superior lethality with a high level of commonality with the AMV35 offered for Phase 2. With proven operations around the globe, CV90 will bring the Commonwealth a mature, low total-ownership cost, sustainment program,” BAE said in a media release. There are nine different CV90 variants in service, with the latest variant currently in production for Norway.